Henry Campbell Wood was born on 3 January 1885 in Walker County, Texas. He was known as Campbell. Solomon William Wood and Martha Clarana Reed appeared in the US federal census of 1 June 1900 in Anderson, Grimes County, Texas. Other members of the household included Henry Campbell Wood, Rush Brevard Wood, Walter Warren Wood, Homer LeGrand Wood, Ella Lynn Wood, Solomon William Wood Jr. and Elizabeth B. Hurst. It is worthy of note that birth information for the entire family is extraordinarily inaccurate. A phogographic portrait was made of Henry Campbell Wood as a young man. He married Anne E. Dunn, daughter of William Dudley Dunn and Martha Moseley, on 14 January 1909 in Shelby County, Tennessee, with R. M. W. Black, MG, officiating, license dated 14 January, bondsman G. M. Peoples. The following appeared on 23 April 1909 in The Liberty Vindicator: At twelve o'clock Wednesday night Liberty was visited by a fire which, within the twinkling of an eye, destroyed what it had taken years to build. The loss is between $30,000 and $35,000. The fire started in the Theriot building, occupied by H. C. Wood, and was discovered by the crew on the switch engine, who gave the alarm. The flames, from where they originated, spread into the Goldstein building, occupied by I. Lipstet; then into the Masonic building, occupied by John L. Ellis; onto the Ager building and into the home of Sim DeBlanc on the north. Going south they enveloped the Steusoff building and the Guertin building. H. C. Wood stock valued at $750; insured for $500. Theriot building valued at $1000; partially insured. Goldstein building and fixtures valued at $5000; partially insured. I. Lipstet, stock valued at $12,000; partially insured. Masonic building valued at $1500; insured for $900. J. L. Ellis, stock valued at $2500; insured for $1500. H. O. Ager, building and stock valued at $5000; partially insured. Stevens & Pickett damage to library $750; insured. Residence of Mrs. Julia Welder, occupied by Sim DeBlanc, valued at $1250. C. F. Steusoff, building and stock, $2000. No insurance. Guertin building, vacant, valued at $700. On complaint of J. L. Ellis and H. E. Marshall, G. A. Wood and Robert McAlbia, the gentlemen who conducted the H. C. Wood store, at which place the fire originated, have been arrested in connection with the fire, on a charge of arson. Their esamining trials will be heard before Justice McConnell Saturday. The following appeared on 25 April 1909 in The Houston Post: (Navasota, April 24) A bond for $1000 was circulated on the streets of Navasota this morning and in a few minutes had the signature of twenty-one citizens, worth in the aggregate considerably more than a million dollars. It was for Green A. Wood and Robert McAlpine, arrested at Liberty in connection with the recent fire there, in which the store of H. C. Wood and several others were totally destroyed. Messers. Wood and McAlpine, the former as manager and the latter as clerk, had but recently engaged in business at Liberty. The fire was thought to have originated in the Wood store, and both gentlemen being comparative strangers, adverse sentiment was quickly formed connecting them with the disaster. Arrest followed and the bond from Navasota is to take the place of one made by a citizen of Liberty until this one could arrive. Both gentlemen are natives of Grimes county and come from as good families as there are in Texas or out of it. The fire was very unfortunate, especially so to Mr. Wood, and the people of Navasota and Grimes county deeply sympathize with all parties concerned. The signers to the bond of both Mr. Wood and Mr. McAlpine are: George S. Wood, J. W. Leake, W. L. Steele, H. H. Knox, P. H. Levy, Ed F. Blacksbear, J. W. Brosig, W. H. Brown, E. H. Terrell, Gus Manos, Ward Templeman, M. B. Goodman, Tom M. Owen, J. T. Barry, Oscar Coe, S. J. Walker, J. E. Semple, A. P. Terrell, R. B. Templeman, S. W. Glass and Ewing Norwood. The following appeared on 14 May 1909 in The Liberty Vindicator: After a stubborn fight, beginning Friday morning, the preliminary trials of Green A. Wood and Robert McAlpin, charged with arson, were brought to a close Monday afternoon by Justice McConnell, fixing their bonds at $5000 and $2000, respectively. The trial was one of the most sensational that has ever occurred in Liberty county and every inch of ground being closely contested, made same unusually interesting. H. E. Marshall assisted county attorney Dan Harrison in the prosecution and F. F. Stevens of this city and Judge Lewis of Navasota, represented the defendants. As has been previously stated in the columns of this paper, the complaints were made against Wood, and his brother-in-law, McAlpin, on the morning after the recent fire in this township. The fire having started in the house occupied by Wood as a gentleman's furnishing establishment. Wood carried insurance amounting to $500. The bonds were immediately made by several prominent citizens of Grimes county who had come here to attend the trial. William Dudley Dunn and Martha Moseley appeared in the US federal census of 15 April 1910 in Memphis, Shelby County, Alabama, at 306 South Dudley Street. Other members of the household included Henry Campbell Wood, Anne E. Dunn, Martha Emily Wood and Homer LeGrand Wood. He was a bookkeeper, according to the 1910 census. Henry Campbell Wood registered for the draft on 12 September 1918 in Shelby County, Tennessee, while living with his wife Anne at 296 South Dudley in Memphis, proprietor of a gas filling station & auto accessories. Henry Campbell Wood and Anne E. Dunn appeared in the US federal census of 1 January 1920 in Memphis, Shelby County, Tennessee., at 290 South Dudley Street. Other members of the household included Martha Moseley, Martha Emily Wood and William Douglas Wood. He was an auto accessories salesman, according to the 1920 census. He and Mary Jane (?) appeared in the 1927 Oakland, California, City Directory at 2812 Summit. listed as H. Campbell (Mary J.) Wood =, salesman. In 1936 Henry Campbell Wood and Mary Jane (?) appear in the precinct register index as voters in Humboldt County, California, identified as a care taker and a housewife in Willow Creek, registered as Democrats. In 1940 and 1942 Henry Campbell Wood and Mary Jane (?) appear in the precinct register index as voters in Humboldt County, California, identified as a rancher and a housewife in Willow Creek, registered as Democrats. Henry Campbell Wood and Mary Jane (?) appeared in the US federal census of 1 April 1940 in Klamath, Humboldt County, California, at Willow Creek. He was employed as manager of an agricultural farm, according to the 1940 census. Henry Campbell Wood registered for the draft in 1942 in Humboldt County, California, while living in Willow Creek with his wife Mary Jane Wood, and employed there by R. F. Gardner. In 1944 Henry Campbell Wood and Mary Jane (?) appeared in the precinct register index as voters in Humboldt County, California, identified as a farmer and a housewife in Loleta, registered as Democrats. Members of the Wood family were photographed Fannie Wood Haynie's east yard during 1946, when family gathered to celebrate the 50th wedding anniversary of William and Lizzie Hurst Wood. William Wood and brother Campbell enjoy a visit during September 1950. 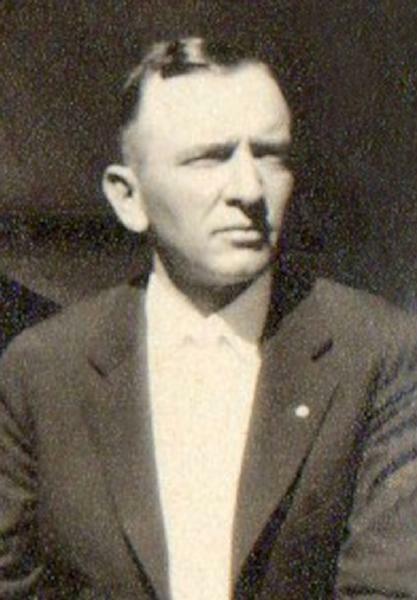 Henry Campbell Wood died on 23 December 1951 at age 66 in Humboldt County, California. His wife Mary Jane (?) became a widow at his death.